How To Scan Files & Url Without Any Antivirus Installed. Today we are going you to share useful method to scan suspected URL file online for virus and trojan. 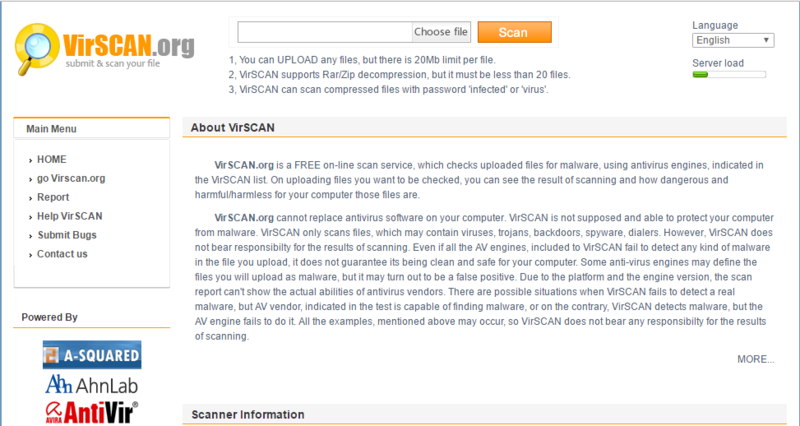 Below we have mentioned some online scanners that will help you to scan your Files & URL without any Antivirus installed. Nowadays virus and trojans attacks are increasing day by day. We use antivirus and lots of things in our computer for getting rid of viruses. This virus mainly comes from Pendrives and downloaded files. In PC, you have the option to scan pen drive’s for viruses but what about downloaded files. Mostly, people downloaded unofficial software from different sites, now they scan for a virus from their computer’s Antivirus, and in the result, a virus is already installed in your system that means you have already downloaded the infected file. So In this post, I will tell you, How can you scan suspected URL file online for virus and trojan. If you use Computer or Laptop without Antivirus, the online virus scanner will be very helpful for you. Online Virus Scanner is the web apps for scanning your infected files, URLs, and website for Virus and Malicious Programs. Scan Files & Url Without Any Antivirus, scan pen drive’s for viruses, Online Virus Scanner. 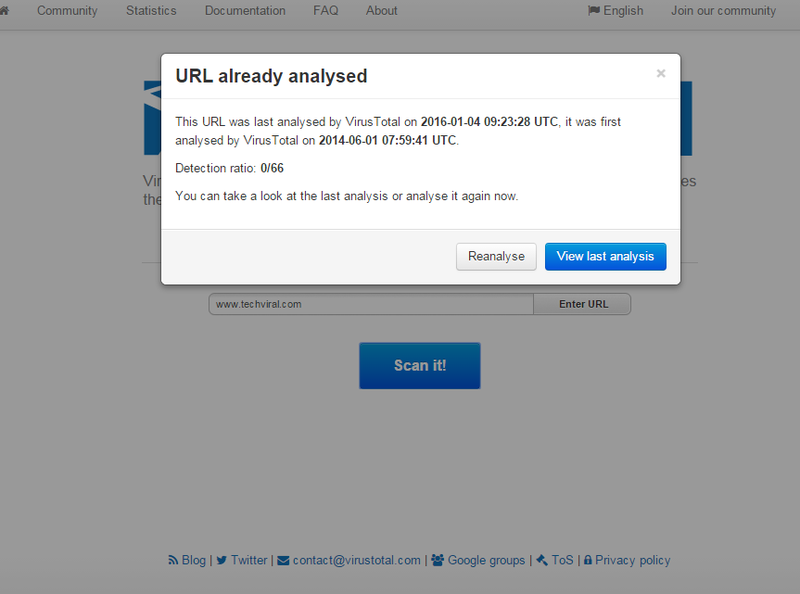 Virustotal is the free website for scanning your infected files, URLs, and website. 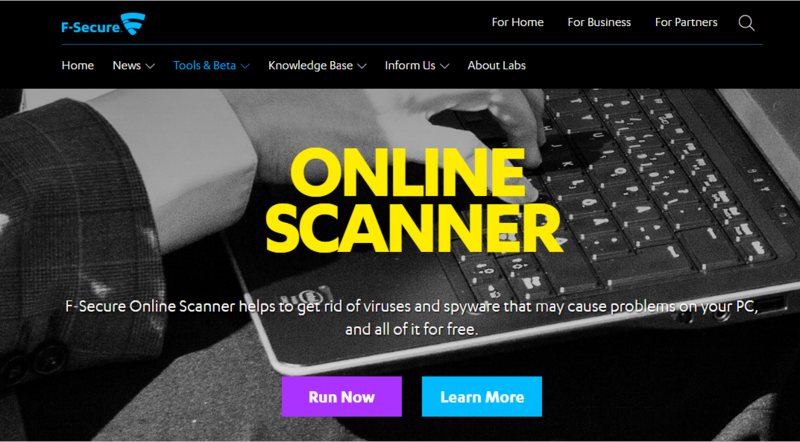 You can scan any suspected files and website from this online scanner website. This website uses 60 different Antivirus engine for scanning your files and URLs. 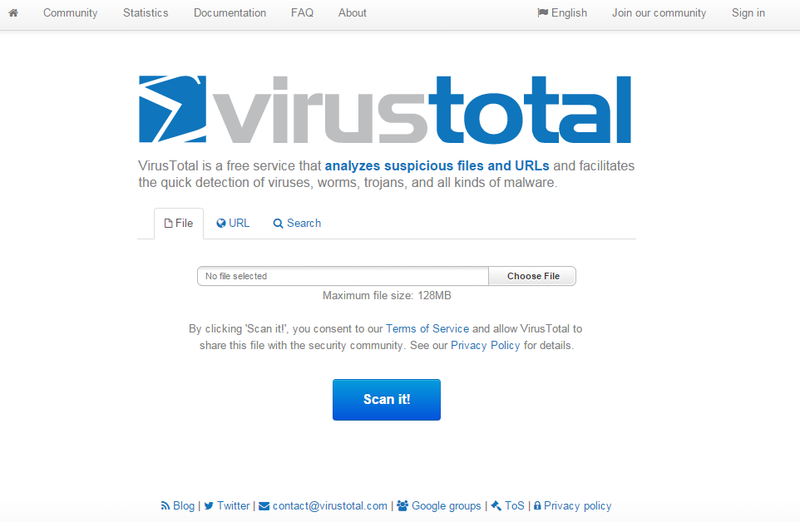 Virustotal was owned by Google in 2012. Step 3. 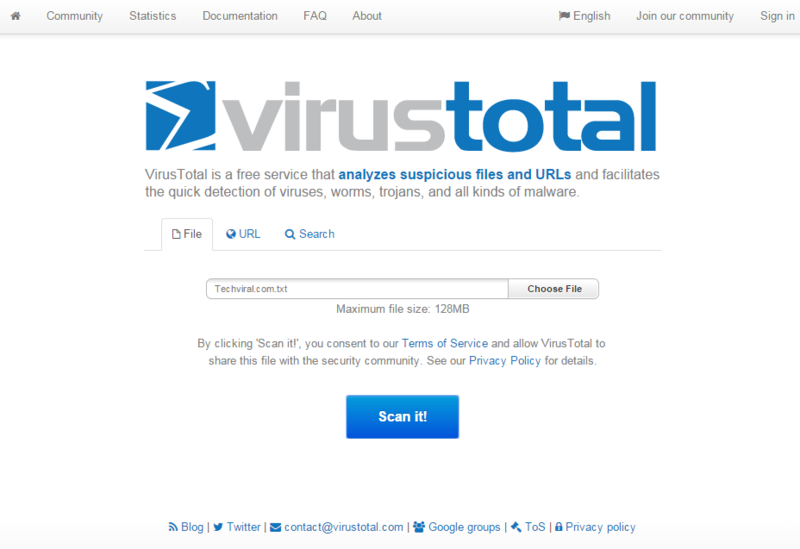 In Virustotal, you have to scan particular URL or whole website for malicious infected virus and trojans. You can scan whatever you want, Like if you are the blogger you can scan your WordPress themes for malicious shells and trojans. Largely virus comes from unofficial websites and pirated websites. So I recommend you to never download unofficial software or files from pirated websites. Jotti’s malware scan is a free service that lets you scan suspicious files with several anti-virus programs. You can submit up to 5 files at the same time. There is a 50MB limit per file. Please be aware that no security solution offers 100% protection, not even when it uses several anti-virus engines. All files are shared with anti-virus companies so detection accuracy of their anti-virus products can be improved. 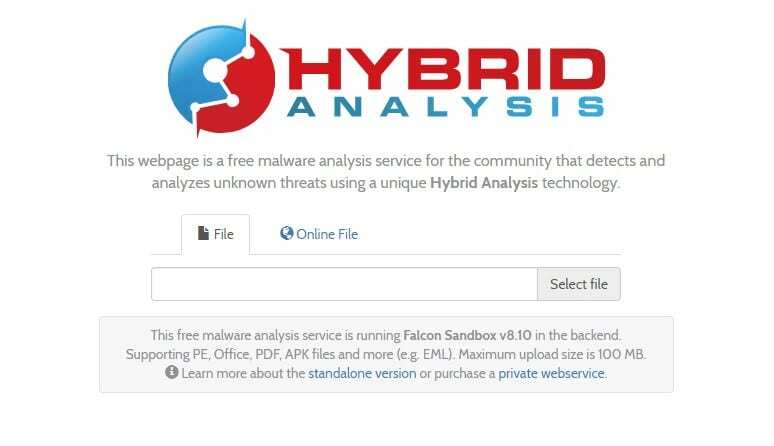 It is a free website that scans for and analyzes a file without even installing any antivirus software. It comes next to the virus total. You can look up a hash and can even scan an IP Address with the help of this. 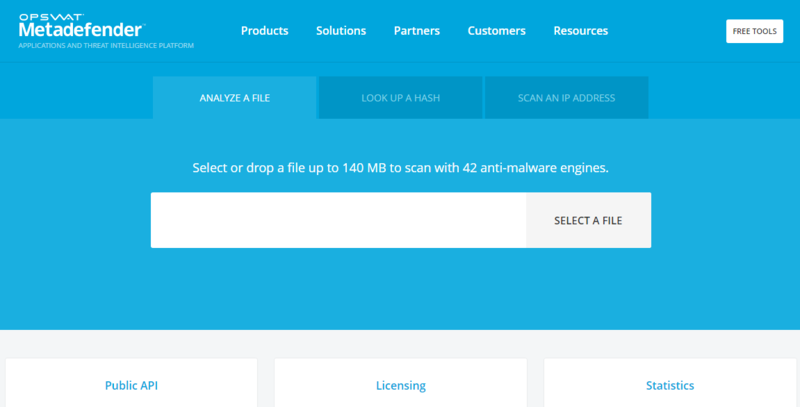 You can drop a file up to 140MB to scan with 42 anti-malware engines online. F-Secure Online Scanner helps to get rid of viruses and spyware that may cause problems on your PC, and all of it for free. You can use F-Secure’s free utility tools to handle special tasks such as manually updating product databases, booting an unresponsive PC and removing specific threats. This is one of the best online scanners which you can use in order to get rid of viruses and malware that can cause problems on your computer. 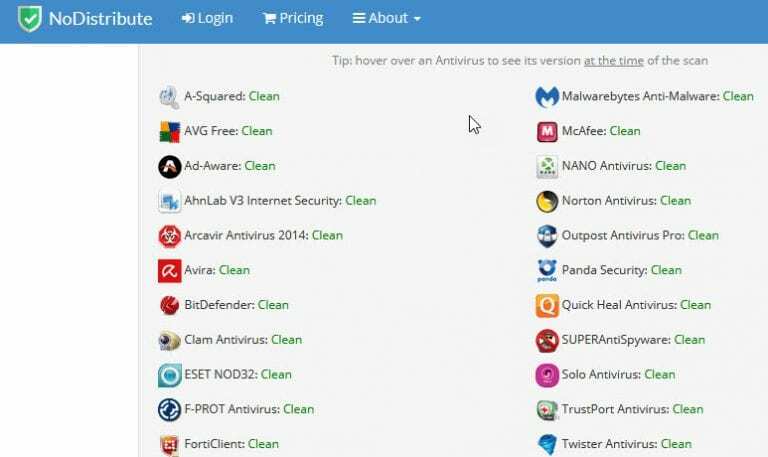 The online virus scanner supports more than 35 antivirus engines. However, the free version only provides 3 free scans and after that, you need to pay. This is one of the best free online scanner tools that analyze the files in virtual environments. The best thing is, Hybrid Analysis shows results with more than 66 different antivirus vendors. You can use this online scanner to scan office files, PDF, Apk files and more. This list is all about Online Virus Scanner. If you suspect any file upload on Virustotal. Feel free to contact us by dropping your comment below.